Some of you might know that Hulu rolled out a Live TV service to their existing streaming platform. I've spent a bit of time checking it out (if you do things right, kids, watching TV can be work) and I think I'm in a good position to provide a reasonably educated opinion on the service. Overall, I'm a bit confused about who, exactly, it's for. Thanks to some random dude on the internet, I was able to get access without having to pony up cash myself (Ryne <3's Devin). The price for the live TV service, when combined with Hulu's base offering, is $40 a month. 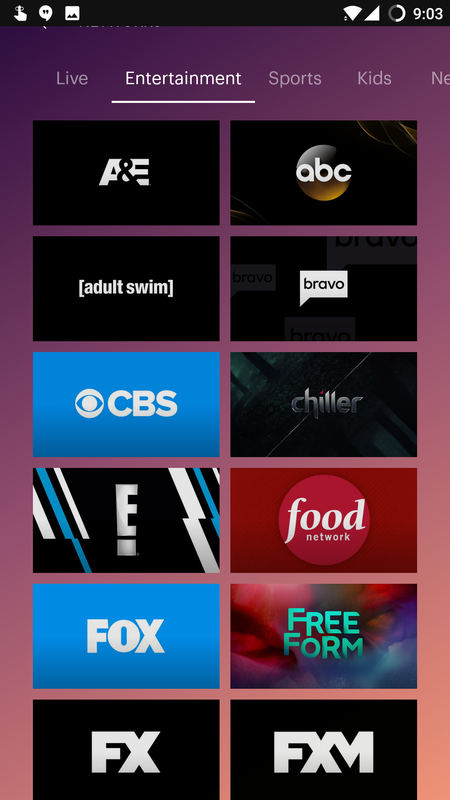 For that, you currently get 54 channels, plus some local affiliate stations based on where you are. Comcast, just as a comparison, provides 140 channels where I live for $50. That price includes free online streaming to iOS, Amazon, Roku, and Android devices. When bundled with an Internet connection the cost also decreases. Overall, that doesn't make Hulu a great value — at least, not for someone in my position that might have a better offer through their cable company, but that's going to depend on what sort of plans you have locally. 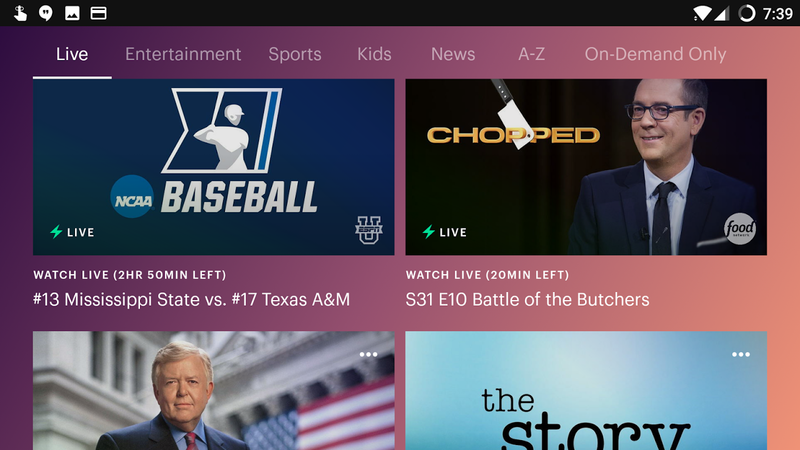 Right now Hulu's Live TV service is only actually available on a few platforms. If you have a mobile device running iOS or Android you can watch it there, and it works on the Xbox One as well as Apple TV. You can even stream it to your Chromecast, but that's the extent of things. Notice the rather large glaring absences: Roku, Amazon Fire TV, and even Hulu's own website. It's a pretty limited arrangement for something that's supposed to be liberating you from the confines of cable. 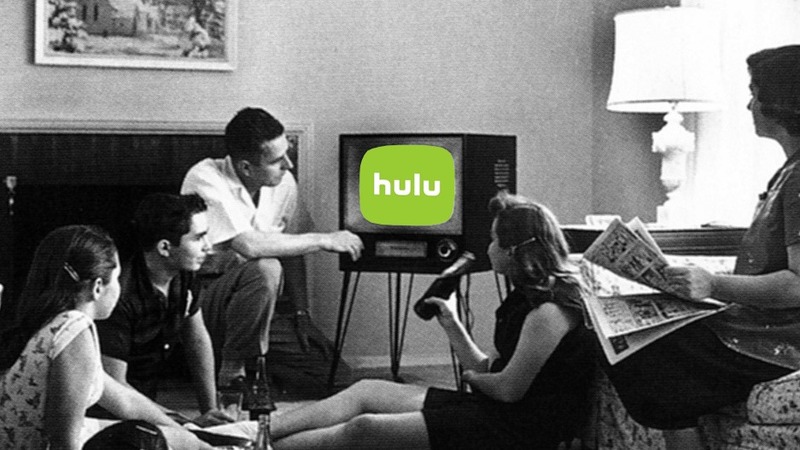 Hopefully, Hulu will bring support to those other platforms soon. When I finally dug in — realizing it wouldn't work on the website, I resigned myself to spending some time stuck to my phone — I was pleasantly surprised. The streaming quality was a lot higher than I had presumed, and I don't know why my original expectations might have been lower. Everything was clear and without stutter. I'm pretty confident that streams weren't quite at my phone's native 1080p, but the lack of sharpness could just have been the result of a slightly aggressive compression method. Even then, I didn't see any of the typical square compression noise I had expected, as you sometimes do on cable during scenes with fast movement. The quality was quite good, and I wouldn't object to it. The interface for finding content on Live TV is OK. I wouldn't say it's great, as it can be just a bit more confusing than using a cable box, but it's not terrible. When you are navigating the "Live" tab, you are shown thumbnails for each show, but the other genre-based navigation tabs just show icons for networks, not the same thumbnails for shows you get elsewhere. 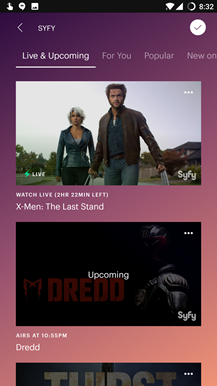 That got a tiny bit frustrating since it meant either looking at a list of all shows currently on two at a time or going into each individual network to see what was on. I would enjoy a pane somewhere with a wider overview for faster selection. The app has some great small touches, like a progress bar for live shows or movies. Obviously, you can't actually skip back, but it does let you know visually how close to the end something might be when you jump in. Just as you can with a DVR, you can pause a live stream. No matter how good the experience might be, though, I still can't personally get over my two biggest problems with TV. I can't rationalize paying to watch ads, and I don't want to pay for a ton of channels I won't watch. Make Adult Swim and Syfy standalone 24hour streams, and I'll happily give you $5 a month for each. I might even find a way to tolerate limited advertising with that sort of arrangement. But I'm not going to spend $40 a month subsidizing sports channels and low-effort network television for everyone else. And if the networks can't adapt to standing on their own without that service subsidization, then they can fall, and I'll be just fine. Those content creators will end up at a streaming service eventually. If you're the kind of person that wants to watch network TV, doesn't mind advertisements, and doesn't care about the price too much, then this might be for you. 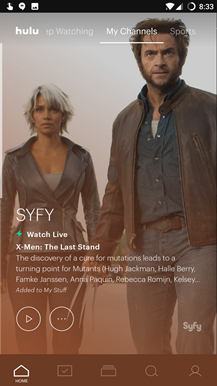 The inherent contradiction in Hulu's service rears its head now. Because if you are that sort of person, then you probably already have a cable subscription, and plenty of cable providers have their own (better) systems available to subscribers for watching network television online. On the other hand, if you're a cord-cutter, then you're already pointedly not paying the extra $40 a month for ad-interrupted network television. 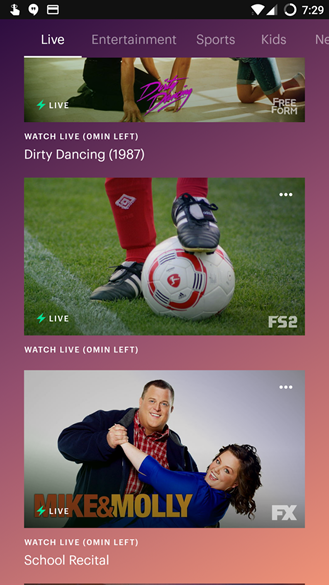 So, I'm really at a loss to determine exactly who Hulu's Live TV is for. If you think it might be for you, feel free to check it via the latest update over on Google Play.